Located at the foot of the slopes, the Hotel Hameau de Kashmir enjoys stunning views, excellent service and a stylish interior with a selection of hotel suites available. With direct access to the Plein Sud piste, the Kashmir provides the ultimate ski convenience alongside a beautifully decorated interior and excellent service. The hotel suites enjoy access to the spa and pool as well as the gym for those who are keen to keep up their fitness levels throughout their stay! 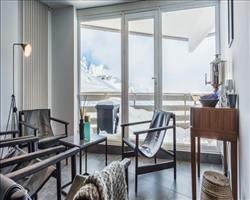 Guests can enjoy the the lively atmosphere of Val Thorens with the comfort of peaceful accommodation located just a 5 minute walk from the resort centre and shops. Junior suites (A3) can sleep 2-3 with double bed in a spacious alcove with sliding door, living area and twin beds plus 2 x bath or shower and WC and balcony. Prestige Suites (C5) can sleep 2-5 with double bedroom and twin bedroom plus bath or shower and WC and balcony. We update Hotel Hameau de Kashmir's details often, but facilities do change. e.g. some extras listed by the supplier as "free" or included might only be for the first time you use them, or for one time per party, then charged for further use. If any specific feature is essential to your holiday, make sure you ask us to confirm the details of it before you book your holiday. This package holiday to Hotel Hameau de Kashmir in Val Thorens, France departs Saturday 11th January 2020, for a 7 night stay on a "bed & breakfast" board basis. A local tourist tax (Taxe de Sejour or Kurtaxe) is levied by many councils in European ski resorts. It varies by standard and type of accommodation and is age dependent, so not everyone is charged. It's not included in the basic price of your holiday and is usually paid locally. For reference, the average charged in winter 15/16 was between 50p and £2 per person, per night. Val Thorens lift pass price last reported as €208 (Adult 6 day). Ask for a quote when booking Hotel Hameau de Kashmir. 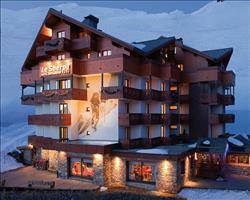 Hotel Le Sherpa Val Thorens France, Dover Ferry 11th January. 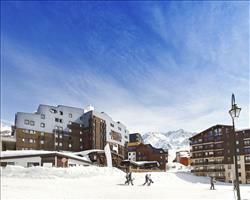 Hotel Le Val Chav... Val Thorens France, Dover Ferry 11th January. 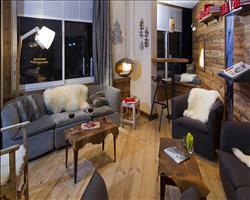 Hotel Club Les Ar... Val Thorens France, Dover Ferry 11th January. 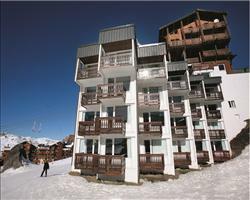 Hotel Les Trois V... Val Thorens France, Dover Ferry 11th January. Hotel Fahrenheit ... Val Thorens France, Dover Ferry 11th January. 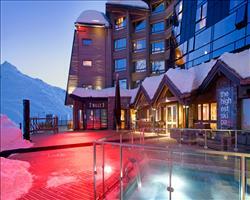 Hotel Altapura Val Thorens France, Dover Ferry 11th January.